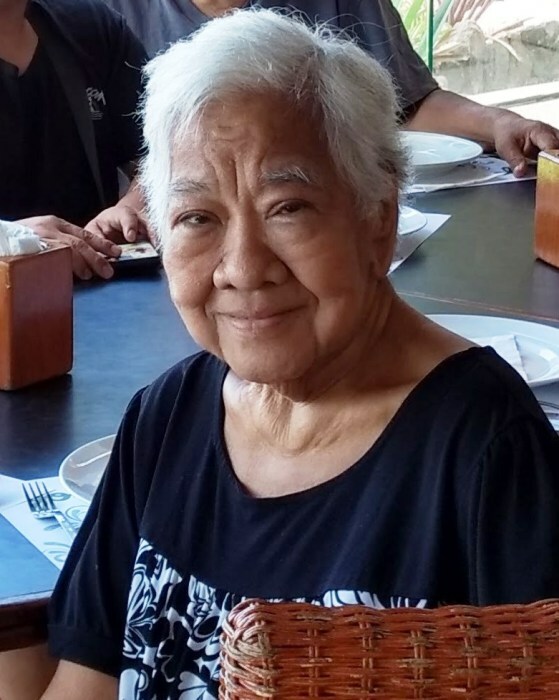 Clarita Dela Torre Penaranda Langaman, age 76, of Pittsboro, died Wednesday, January 16, 2019 at UNC Hospital. Clarita was born in the Philippines on May 7, 1942 to the late Manuel Penaranda and Clara Dela Torre Penaranda. Clarita is survived by her husband Jose Naval Langaman, two sons, Josephus Langaman of Greensboro, Josef Langaman of Brooklyn, NY, daughter Clarilyn L. Manginaro of Pittsboro, brother Carlo Penaranda of Fort Myers, Florida, two sisters Amelia Buno of Queens, NY, Pura Santos of Garner, nine grandchildren Dylan, Joshua, Jessica, Nicholas, Matthew, Michael, Kevin, Jolina, Jenna, and great grandchild, Ava. In lieu of flowers, the family asks that donations be in her memory to St. Thomas More Catholic Church 940 Carmichael St. Chapel Hill, NC 27514.